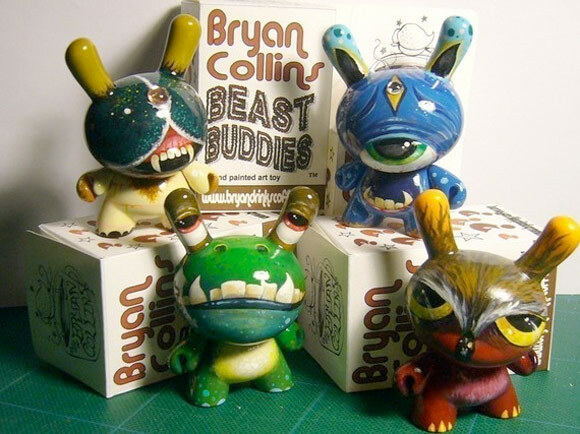 Colorado artist, Bryan Collins has created a monstrous series of custom 3-inch Dunnys called the Beast Buddies. There were 100 of these little terrors created. Handpainted with acrylics and blind boxed in custom packaging. 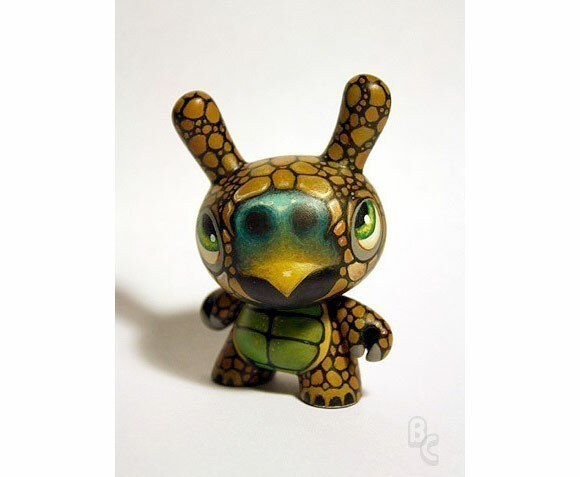 You can scoop up one of the few left on Bryan’s Etsy store for $46 and take a 1-in-4 chance of finding a Golden Ticket and winning a free t-shirt, print or custom Beast Buddy Mini MUNNY. Each design comes with a sticker, concept sketch and is an original, so you won’t get any duplicates. Happy hunting.